Write to Environment Agency Wales highlighting the petitioners concerns and asking for more details on the assessment process undertaken prior to the environmental permit being granted. Protestors turned out at the Cardiff council for the executive business meeting, to further voice their concern over the proposed incinerator for Splott. Although plans for the incinerator were not on the agenda, organisers of Cardiff Against the Incinerator group decided to voice their displeasure at the planned development at the Trident Park site. The firm behind the plant, Viridor,was granted a permit to process waste at the site on Trident Park, Splott, last November and campaigners took their protests to the Welsh Assembly Government’s petitions committee. Edmund Schluessel, from the campaign group, said local residents may be forced to take the decision to court to make their point. This Waste Plan shows how badly Cardiff has performed, principally because of bad past choices. Lamby Way landfill was used up rapidly, charging relatively little for commercial waste – now that income has ceased and the landfill will be filled up by 2012 with no replacement planned by the Council. This leads to costs of an extra £5 million pa (half comes in 2012, further half in 2013). Foodwaste and greenwaste collection will be separated under the new Plan, and different treatments given (AD for foodwaste; composting for greenwaste). Setting up combined collection was a big and costly mistake, requiring sending to Derby at £500/tonne (now switched to Gloucestershire but still high cost). Seasonal changes in green-waste make difficulties for in-vessel AD and the combination was a mistake from the outset. The income from recycling is at a low 15.5% of expenditure and hardly rises to only 16.5% by 2015/16. This is unexplained. Is it due to low quality material from the MIRV and can nothing be done over this problem? No comparison is given against a high recycling and sorting strategy with MBT stabilisation or RDF production. The comparison with Business As Usual (Graph 1.0) hides the higher P.Gwyrdd costs within 'saved' LAS penalties. Any sensible strategy meeting WAG's policy on foodwaste and recycling targets will avoid those penalties. So the officers offer no real alternative comparison. What is Cardiff's fall-back option if P Gwyrdd collapses, like similar mega-incineration projects in England, because capital funding is limited and expensive? P. Gwyrdd expected public funding before the credit crunch, via the European EIB and prudential borrowing, but these look unlikely. 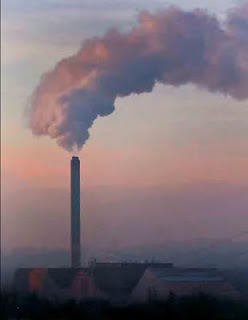 # penalties will be attached to the huge amounts of CO2 emitted by incinerators. 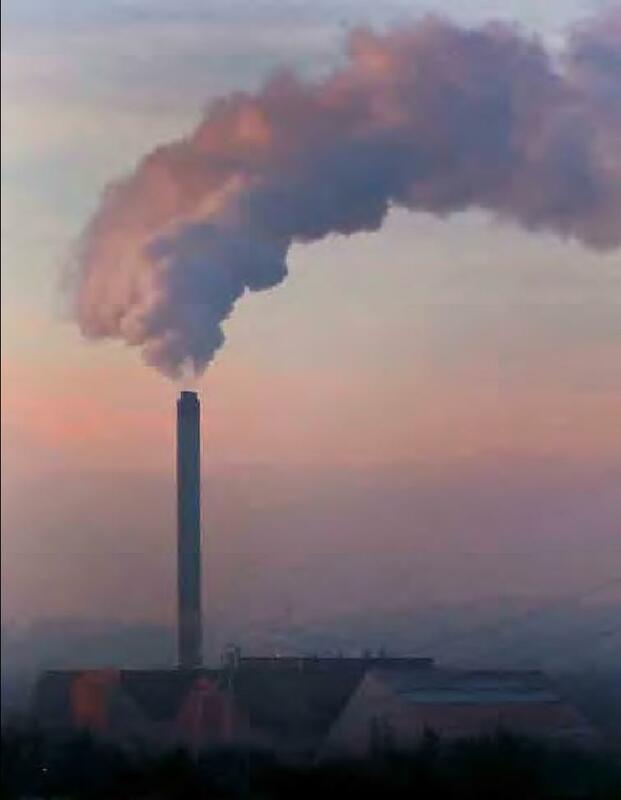 At present, government uses a 'shadow cost' of CO2 around £30/tonne, which would translate to £36/tonne of waste, but Cardiff ignores this – and runs the 'risk' of this carbon-levy in the future. Cardiff's failure to have a 'Plan B' shows either irresponsibility or blinkered officials who leave the Council no option other than their incineration project – which could cost Cardiff's taxpayers dear. # Towards Zero Growth in waste. While waste is decreasing by 2-3% per year on the average in England and Wales, Cardiff's is still growing - and they aim only to stop the growth is the 2020s! # Sustainable Management: much reduced carbon emissions. Viridor's incinerator will emit huge amounts of CO2, far more than the methane equivalent from Lamby Way. (The officers use WRATE's false accounting – below - to pretend otherwise). It's common in the UK to ignore the bio-fraction of the CO2. But they should take into account the decreasing bio-material in municipal waste in future years, when electricity-only incinerators give 30% more fossil CO2 than the worst coal-fired plant. This means that switching from coal-power to Viridor-incinerator power worsens Cardiff's carbon footprint. The Environment Agency approved the claim in their license determination, but failed to carry out a reality check. The first point is that the energy efficiency is not the 65% assumed by Viridor, but 20-22% for this type of incinerator, after deducting electricity used in the process. Second, Viridor fail to project the decreasing bio-component of municipal waste in future years and the decreasing carbon intensity of the UK el-supply. => this is less than 1% of 420kt CO2 so negligible. Wales Waste sector total CO2e is 1.3Mt CO2e/yr (2007 fig. **) so Viridor’s 420kt adds 33%. How much Offset for electricity (otherwise generated by large power stations) ? 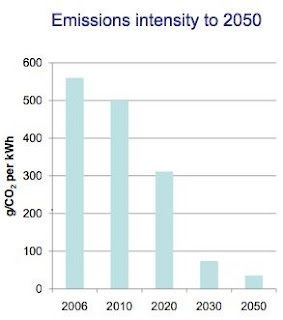 # by the mid 2020s, all Welsh electricity is to be ‘renewable’ with carbon intensity near zero. Viridor’s claims of zero or negative carbon are false; their incinerator would add strongly to Wales greenhouse emissions. 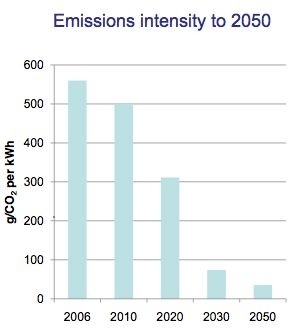 By the mid 2020s, Viridor’s incinerator would be 10 times worse than UK average. Committee on Climate Change, Building a low-carbon economy – the UK’s contribution to tackling climate change - The First Report of the Committee on Climate Change. 2008. They see Prosiect Gwyrdd Incinerator as the only option. Jan 10 2011 News by Ed Walker, South Wales Echo CAMPAIGNERS who want to stop the construction of a 350,000-tonne waste incinerator in Cardiff have decided to launch a legal challenge. Organisers of the Cardiff Against the Incinerator Group have sent a letter to the Environment Agency Wales outlining the reasons why a waste permit should not have been granted to waste management company Viridor. The firm was granted a permit to process waste at the site on Trident Park, Splott, in November and campaigners took their protests to the Welsh Assembly Government’s petitions committee. Edmund Schluessel, from the campaign group, said local residents may be forced to take the decision to court to make their point. Mr Schluessel revealed he and fellow campaigners had discussions with barrister Mair Coombes Davies, from Civitas Law, about their case. She represented the Rumney Rec campaigners in their fight against Cardiff council last year. A spokesman for Environment Agency Wales confirmed it had received the letter and was formulating a response. “We will respond to their concerns and the Cardiff Against the Incinerator Group will decide whether to take the matter to a judicial review. It is estimated campaigners will need to find £5,000 to get the case in front of a high-court judge, and costs could escalate from there. Dan Cooke, external affairs manager of Viridor, said: “Viridor welcomes rational security of the process that has been followed by the Environment Agency in granting an environmental permit for the operation of an energy from waste combined heat and power facility on Trident Park. “The permitting process is open and transparent. The granting of this permit followed a professional and detailed inspection of plans for the proposed facility and was in keeping with the thorough approach adopted by the Environment Agency across the UK on all schemes of this nature. “Whilst people are of course entitled to scrutinise decisions that are made by public bodies, the views of a small number of politically motivated protestors are by no means representative of the wider community. Viridor would like to make clear once again the facility will use tried and tested technology that is already in operation at over 20 sites in the UK and over 400 sites across Europe. The operation of the facility will be constantly monitored by the Environment Agency. We will also be pleased to establish a local liaison group to ensure community involvement and scrutiny. BBC News - Neath waste plant closed over emissions 24 Dec 2010 ... A waste incinerator has been voluntarily shut down after breaching its limit for emissions. Environment Agency Wales said it was taking ..